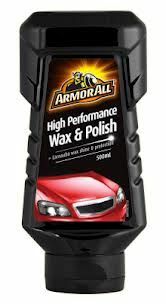 High performance wax and polish contains the finest carnauba waxes for lasting protection and shine. It removes marks, enhances depth of color and restores dull paintwork. Easy to use and safe for all paint finishes.